Mystery solved, folks. 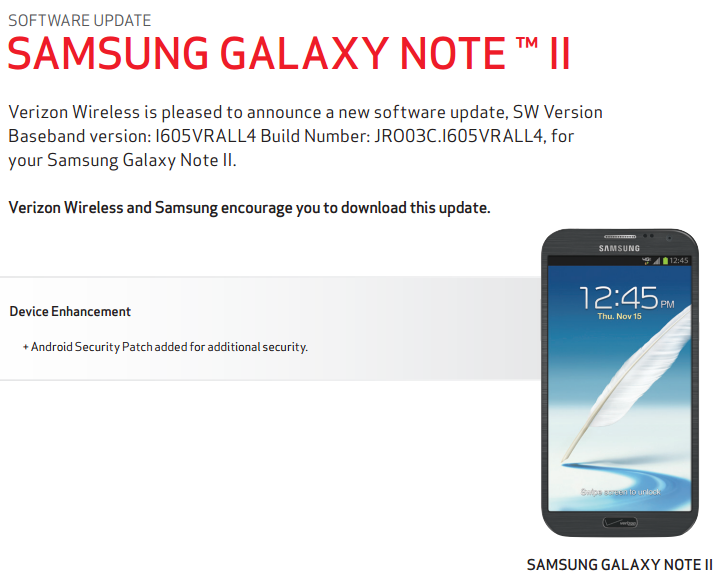 This morning, owners of the Verizon Galaxy Note 2 received a minor update, but at the time there were no details as to what was inside. Thanks to Verizon’s timely update of the device’s support page, we now know that it was nothing more than a security patch, most likely related to the Exynos exploit.